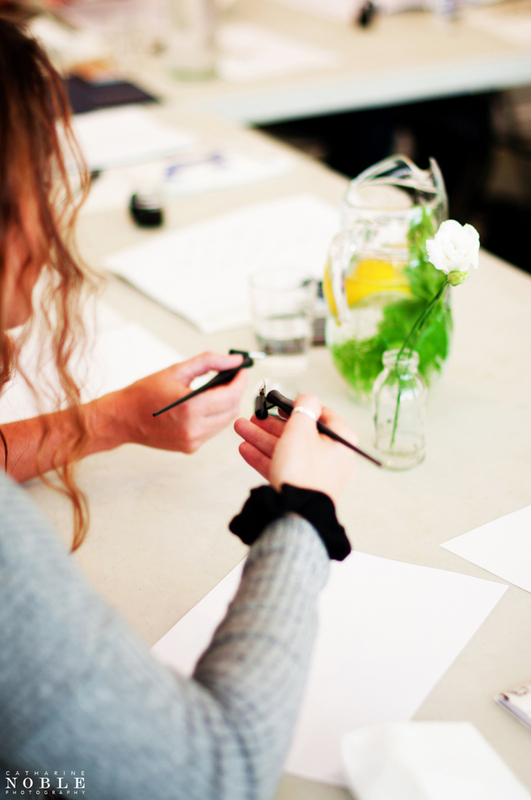 I was chatting the other day about the classroom at Manchester Craft & Design Centre where I run my modern calligraphy workshops. It’s a beautiful, bright spot with white walls and bright windows – perfect for writing. 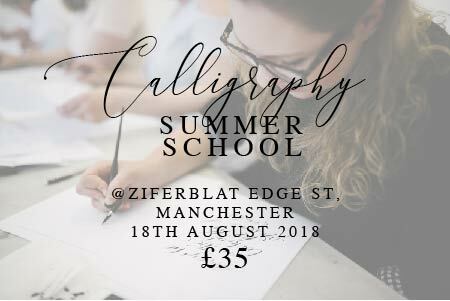 This August I’m launching Calligraphy Summer School – a very different class at a brand new venue. Ziferblat itself is wonderfully eclectic, with a main living room full of mismatched armchairs, sofas and coffee tables. The atmosphere of the place really suits the decor… and it just feels wonderfully creative. 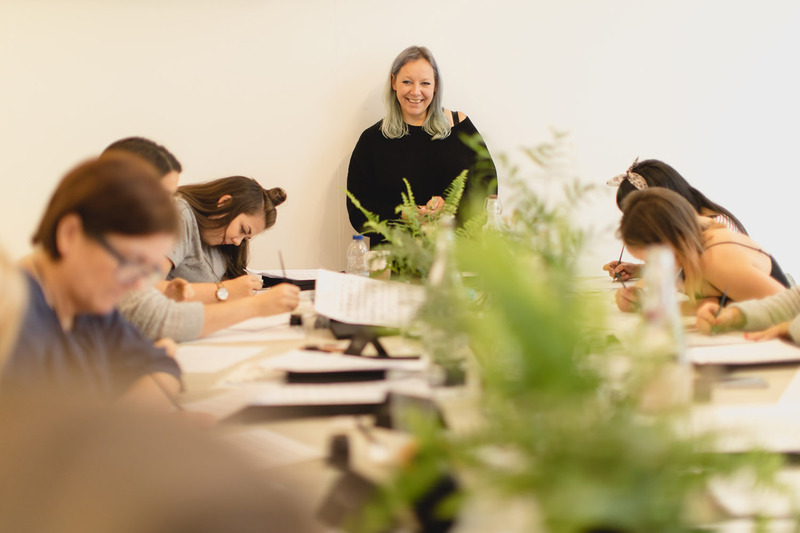 My Ziferblat calligraphy workshop will be held in their classroom – a properly nostalgic room filled with desks and with one of those rollover blackboards which I can’t wait to write on!!! 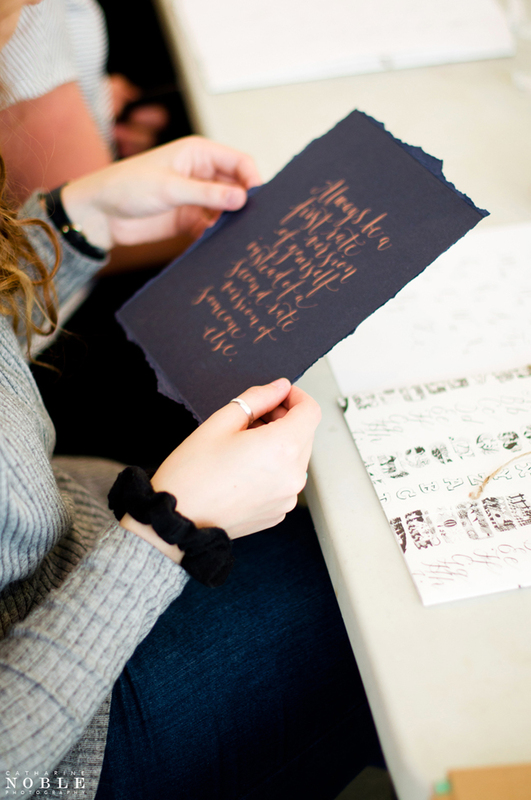 Calligraphy workshops are fun. 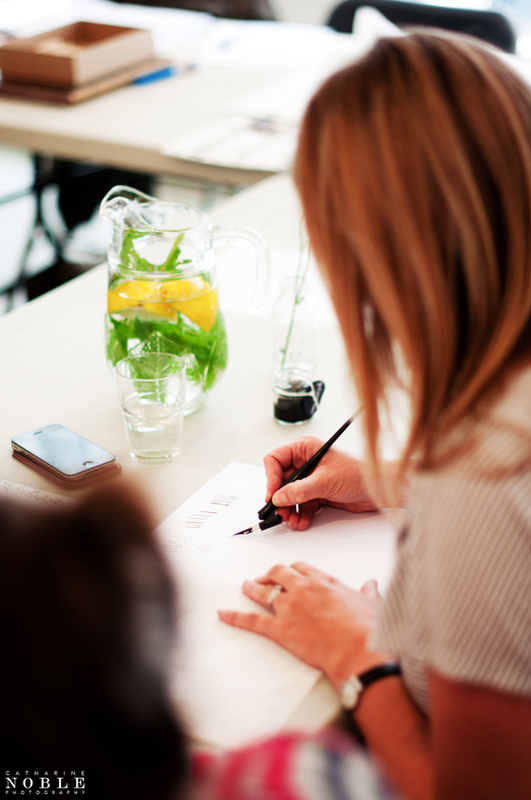 We have a chat, and the more the group is talking during the class, the better – because as you focus on something other than writing, you relax and suddenly your calligraphy becomes more instinctive and natural. 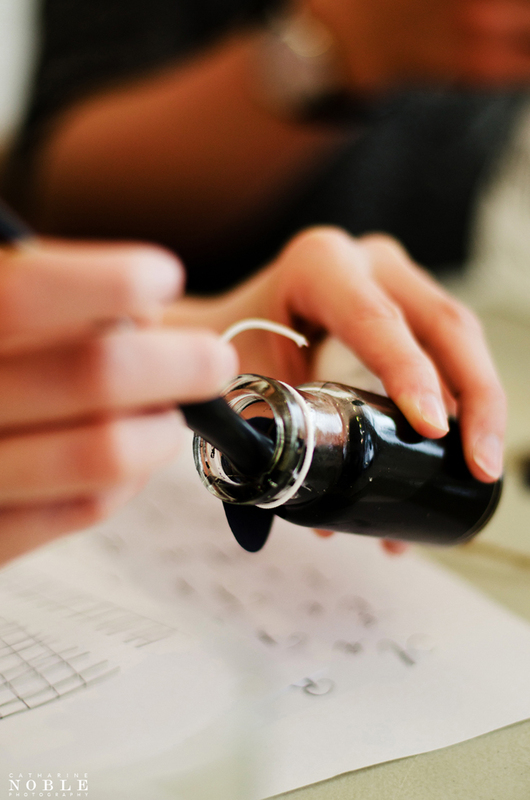 So we talk about our jobs and lives and why we’re all there learning calligraphy. And I’m always asked how I got started in calligraphy. I’ve always loved words – from spelling tests at primary school to learning joined-up writing, I was hooked. I read hundreds of books when I was young – weekly trips to our village library were a treat! Then I chose to learn languages through school, while my friends went on to study art and design. I developed a bit of a fascination with how words are strung together and the nuance of meaning, while my friends showed me their typography projects – and I was hooked. 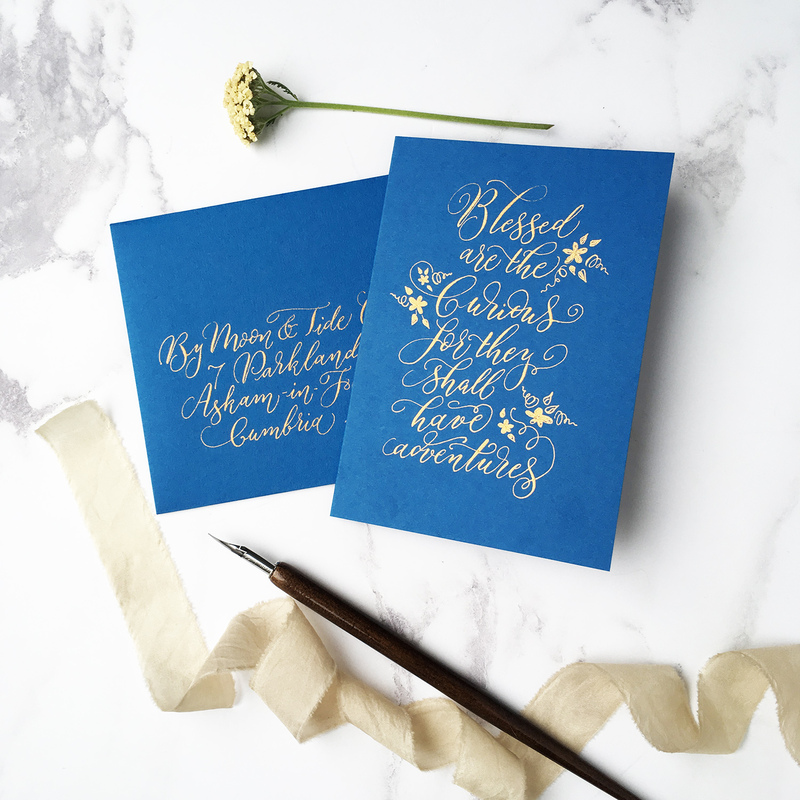 I dabbled with broad edged calligraphy as a teenager – a brief hobby (along with lace making and playing the flute!) which didn’t last long. But ever since, I’ve been super conscious of my handwriting. I’m a messy writer – and my scribbles will slant to the right, or to the left, or be super straight and neat, or girly and loopy depending on my mood! 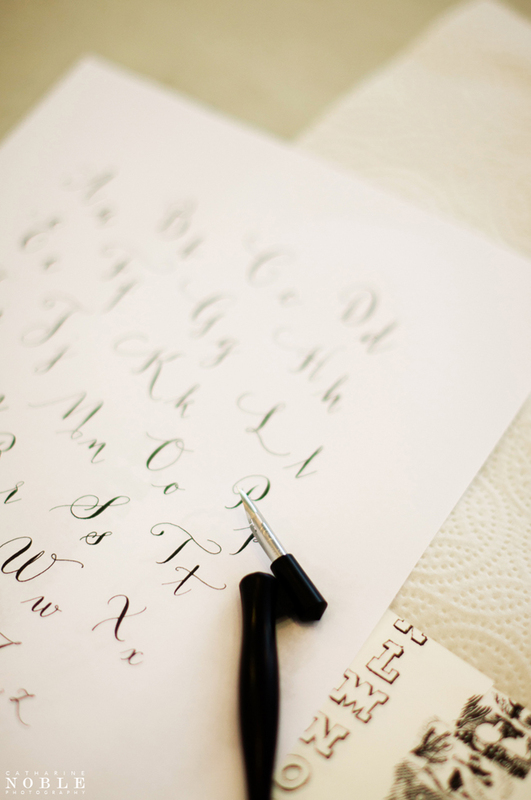 Despite stuffing my old pens and nibs in a drawer for years, I later discovered calligraphy is like riding a bike. You don’t forget. 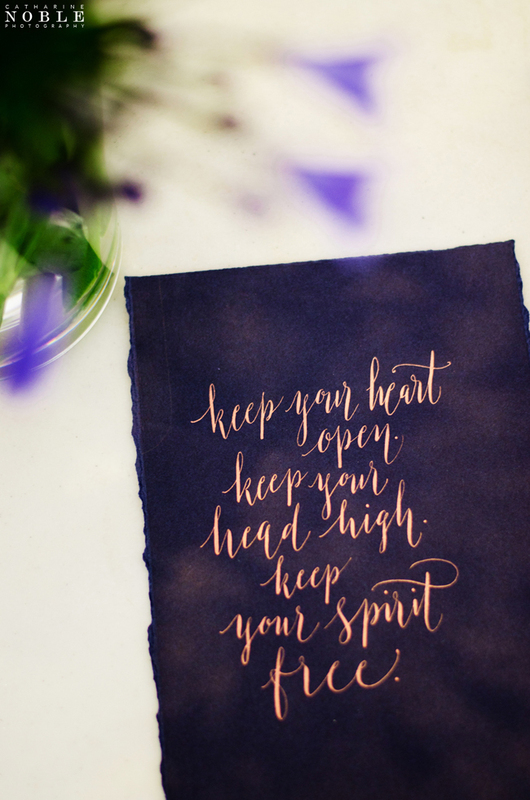 So when I picked up a pen again 20 years later it felt natural and I fell in love with lettering all over again. I was working in marketing at the time and took voluntary redundancy back in 2005. I picked up my calligraphy pens again (and bought a few new ones!) 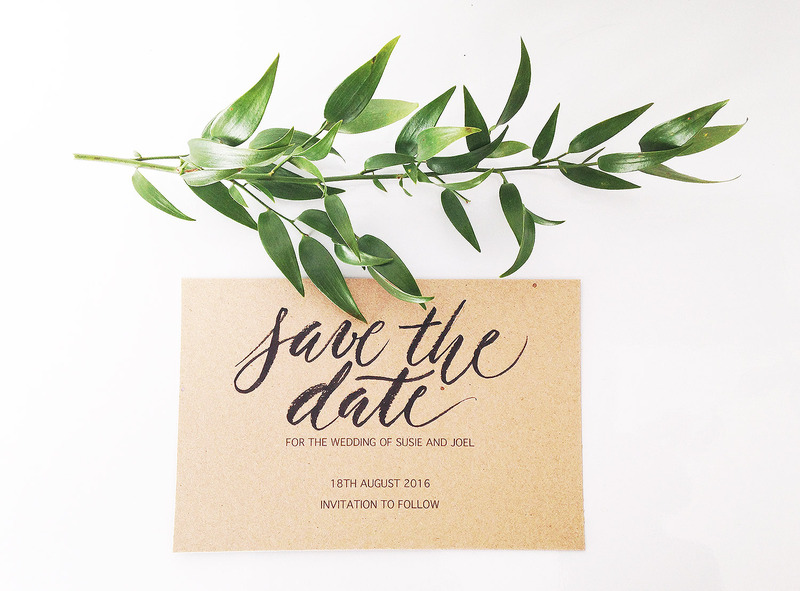 – writing wedding invitations for friends and working on traditional calligraphy poems as practice. In a year I built my business, learned about web design and coding, and began working on weddings locally and nationally. At first I only had a website. Over the years my brand has grown and I now have a Facebook page, Instagram account, Etsy store and Not On The High Street shop. 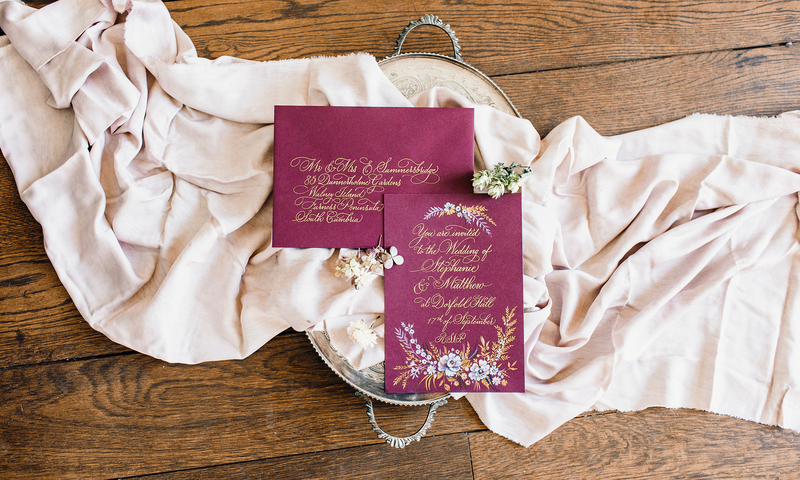 My style of lettering has changed so much over the last 12 years: I began with gothic and italic lettering – which was totally on trend for weddings even such a short time ago! 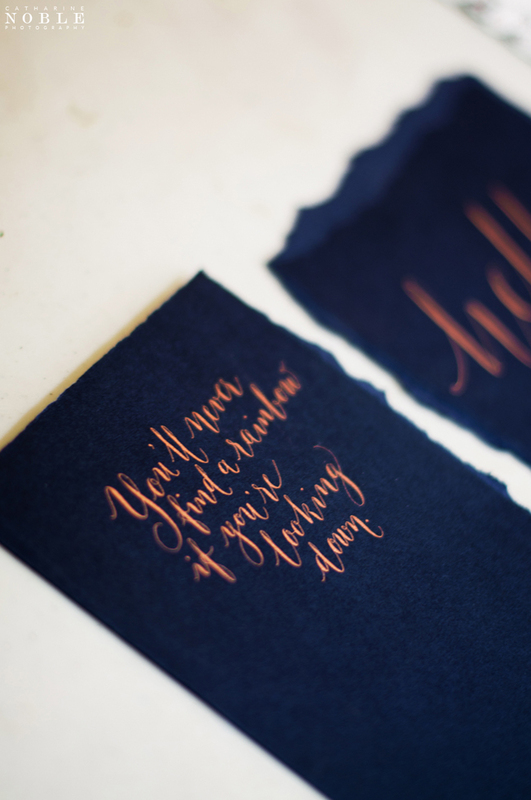 – and moved through Copperplate and Spencerian lettering to an organic, modern calligraphy style over the years. As well as writing for brides and grooms, I write poems for anniversaries and gifts. 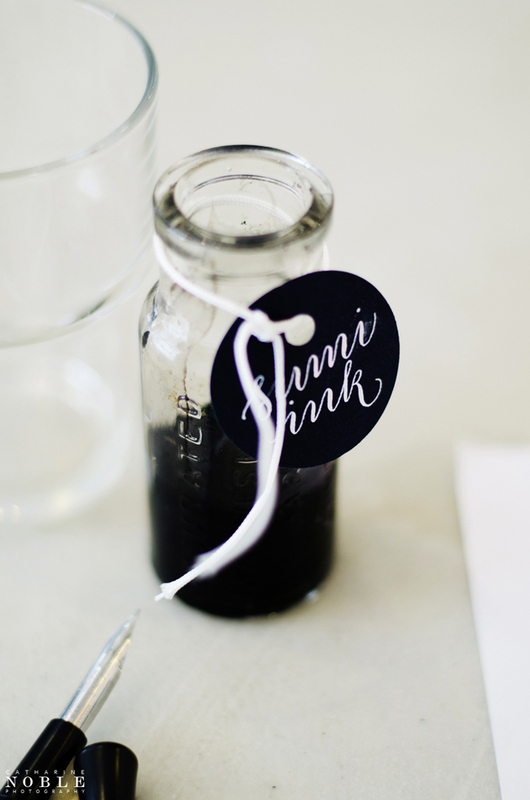 I teach workshops, I sell calligraphy kits, inks and nibs. 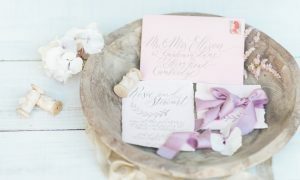 I also write a wedding blog, which has helped me make contacts in the wedding industry and grow my calligraphy business. 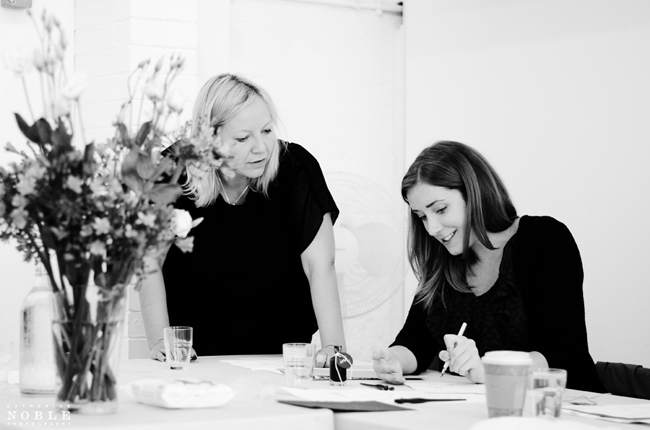 And I’ve plans to try new things – in writing and crafts and life – over the next few years. I try to say yes to every new opportunity to make sure my story will continue! 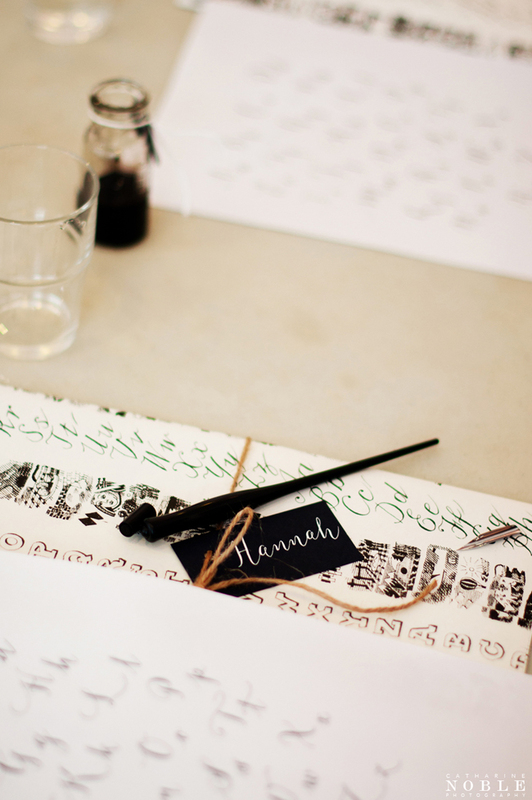 I’m thrilled to be able to announce another calligraphy workshop in Manchester on the 26th of February and I’d love you to come! 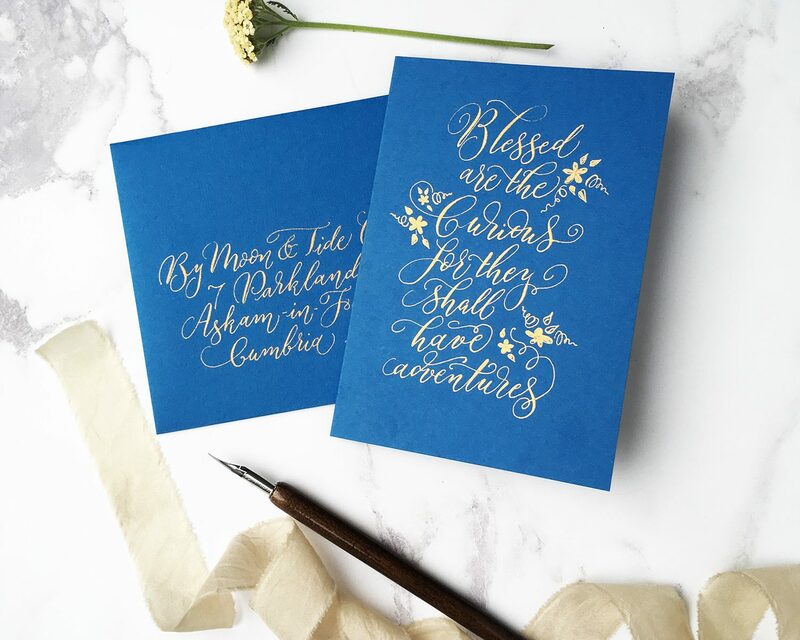 Workshops in 2015 were fantastic: everyone got to grips with their calligraphy pens quickly and there were some amazing scripts taking shape… we even played with flourishing and different lettering styles, which was so much fun to teach! There’ll be more of the same in 2016, and this is your chance to come and see what it’s all about! 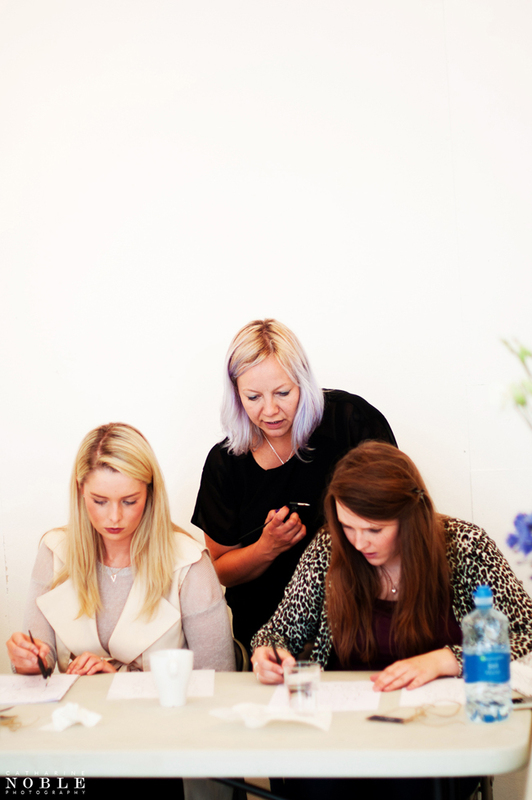 The February workshop will be for absolute beginners once again. It’s going to be lots of fun and I’d LOVE for you to come and join me for a day playing with pens and learning gorgeous contemporary scripts. 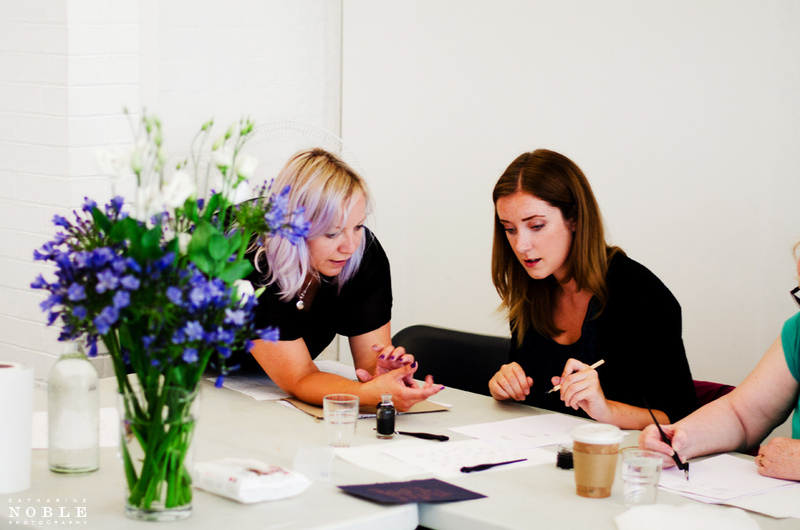 We’ll be at the Manchester Craft & Design Centre in the Northern Quarter from 11am until 3pm and there are 14 spaces available – booking starts today! Lunch won’t be provided, but there’s a fabulous cafe on site – full details will be provided on booking. 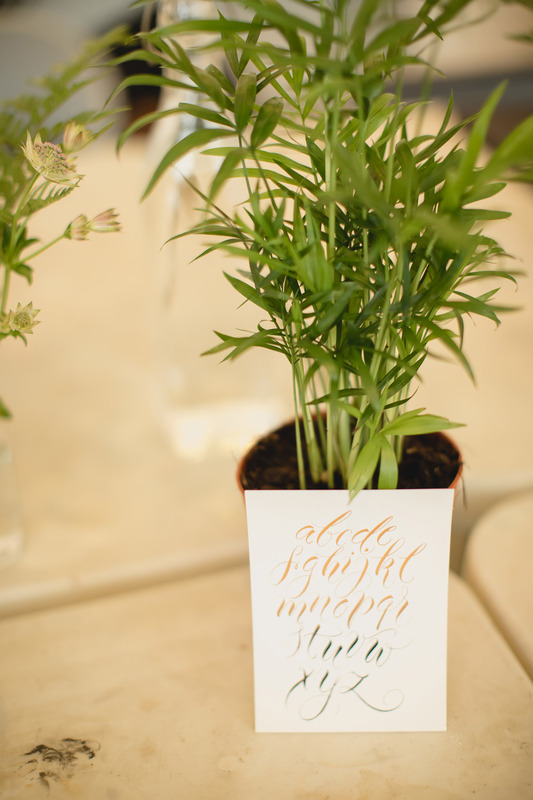 The beautifully lettered goodies you’ve written on the day! The price is £59 payable on booking. 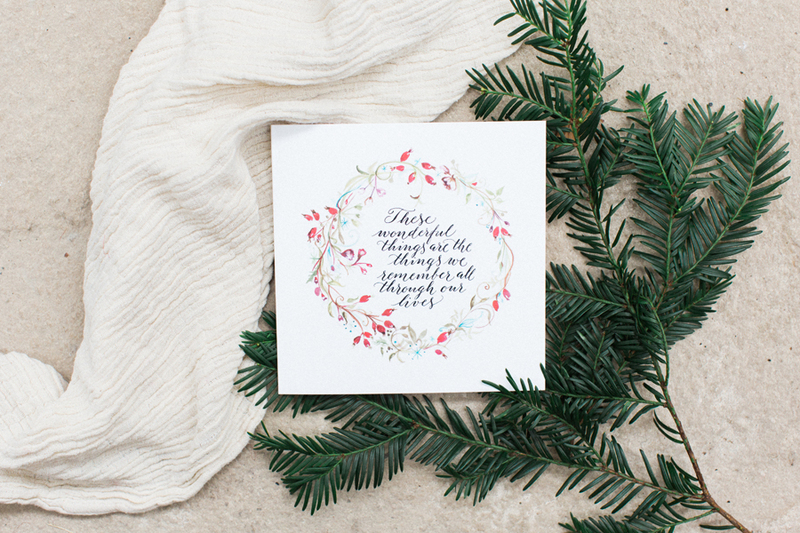 To book either visit my Etsy shop Etsy.com/shop/calligraphystore or email me: hello@Calligraphy-for-Weddings.com. I can accept payments by bank transfer or PayPal, whichever is easiest for you. The class will begin at 11am and finish at 3pm. The location is very easily accessible in Manchester’s Northern Quarter – details and directions will be provided on booking. There is space for 14 students so please book early!